"To get away clean, you have to play dirty!" Jason Statham and Jennifer Lopez headline Parker, the new crime thriller from director Taylor Hackford. We have the first poster for you to check out. 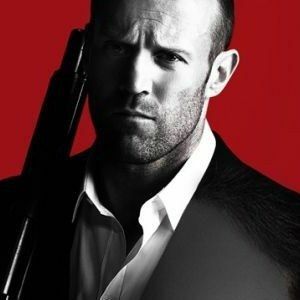 Parker (Jason Statham) is a professional thief who lives by a personal code of ethics: Don't steal from people who can't afford it and don't hurt people who don't deserve it. But on his latest heist, his crew double crosses him, steals his stash, and leaves him for dead. Determined to make sure they regret it, Parker tracks them to PalmBeach, playground of the rich and famous, where the crew is planning their biggest heist ever. Donning the disguise of a rich Texan, Parker takes on an unlikely partner, Leslie (Jennifer Lopez), a savvy insider, who's short on cash, but big on looks, smarts and ambition. Together, they devise a plan to hijack the score, take everyone down and get away clean.